The Amazing Life and Times of Austin T. Levy profiles the little-known stories of Levy's enormous local impact during his lifetime and his prolific legacy. Austin T. Levy's entrepreneurship and visionary investment in community transformed the village of Harrisville in the town of Burrillville in northwest Rhode Island in the early 20th Century. The Amazing Life and Times of Austin T. Levy makes its television premiere on Thursday, February 2, 2017, at 8 p.m. on WSBE Rhode Island PBS. The one-hour documentary encores on Saturday, February 4 at 11 p.m. and Sunday, February 5 at 7 p.m.
A textile industrialist who lived from 1880 to 1951, Austin T. Levy pioneered paid vacations and profit sharing long before such things became common. He was also a musician, athlete, and philanthropist. "He would fit right in today as what they call a 'conscious capitalist,'" filmmaker Kenneth Proudfoot said. "But he was doing this in 1912." Levy and his wife June Rockwell Levy shared a common love for music, theater, and overall care and concern for their fellow man. Levy made health care accessible to his employees and families in northern Rhode Island. June Rockwell Levy established the Burrillville District Nursing Association and served as the President of the Board of Directors for 51 years, beginning in 1921. Levy also built housing for some of his workers and, in 1933, established the Burrillville Town Buildings Project, which built and donated several municipal buildings – the library, the post office, the town hall, and the courthouse, to name a few – unheard of and, in the case of the post office, required federal approval for the donation. In 1958, an elementary school in Harrisville was dedicated to his memory, contrary to his policy of complete anonymity during his lifetime. "Levy did not consider his philanthropies paternalistic. He claimed it was good business which payed off in profits. According to his concepts ownership implied the responsibility of active leadership. Wealth was merely a trusteeship which one accepts while alive." 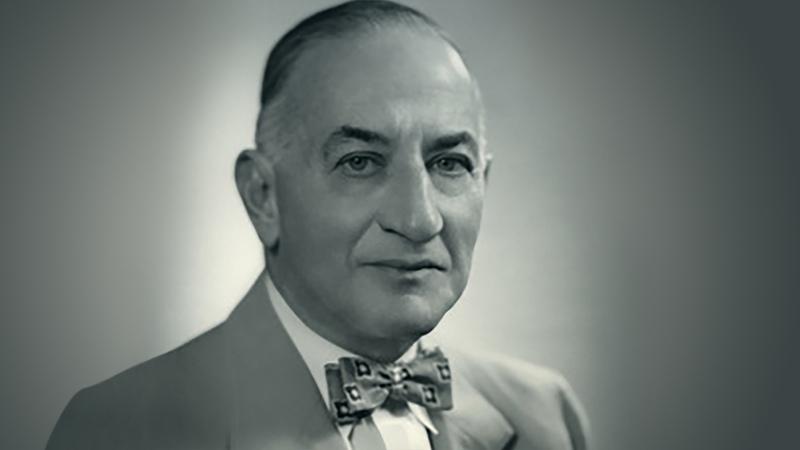 Austin T. Levy faced unprecedented innovations and challenges, having lived his adult life before, during, and after World War I, the Great Depression, and World War II. His critical thinking skills combined with an innate talent for seeing the source of a problem and conceiving a profitable and humanitarian solution to it. That talent extended from Rhode Island to the Caribbean, where Levy developed the Harrisville Company, an agricultural business on the island of Eleuthra in the Bahamas in 1936. The Hatchet Bay milk stand – the earliest form of modern convenience stores - provided cold, fresh milk, eggs, poultry, and even ice cream to the villagers, while his farms and processing plants provided employment for the adults and educational field trips for students. The Amazing Life and Times of Austin T. Levy is written and produced by Kenneth Proudfoot. Jim Karpeichik is the editor and director of photography.